Older News & Views | PC Ware Business Solutions, Inc.
A recent study by IDG Research Services and Sage uncovered some fascinating insights into the how business intelligence, i.e. business systems, impact important business outcomes for mid sized companies such as time to market, profitability, delivering quality offerings , and reducing time spent on non productive tasks. Companies with better data intelligence are 2.2% more profitable. 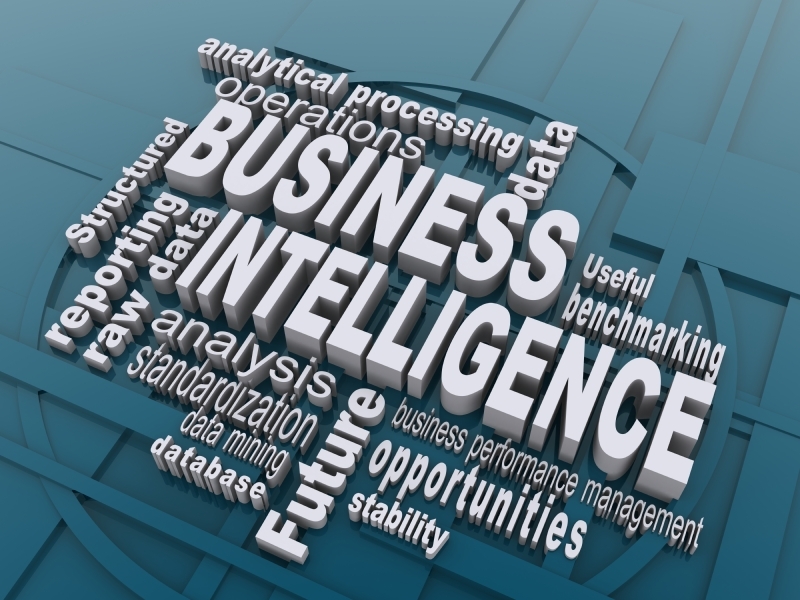 The researchers looked at the link between four aspects of business intelligence Accessibility, Usability, Quality, and Intelligence and important business outcomes. Of the four, data intelligence was found to have the broadest impact on business outcomes. According to the research, a 20% increase in data intelligence will result in a 2.6% increase in year over year revenue and an 11.6% improvement in time to market. Also companies with better business intelligence are four times more likely to optimize inventory levels. The study similarly explored linkages between usability, accessibility, and quality with business outcomes. The study concludes that “even marginal increases in the accessibility, usability, quality and intelligence of data have a direct an positive effect on business outcomes. That choosing an ERP software solution to support accounting, operations, sales and more can be a career defining project is not in question. The real question is will it define you as a hero or a goat? Adam has laid out 3 Do’s and 3 Don’ts in choosing an ERP solution. These tips are practical, steps – some obvious but often skipped and others you might not have thought of — that, when followed, will greatly increase your chances of making a successful choice. He gives sage advice on choosing the right implementation provider, understanding the costs and returns of an ERP implementation, what kind of software demonstration is best, the importance of vendor certification, taking the measure of a vendors support organization and how to deal with references. If you’re involved in ERP selection for your business, this quick read is definitely worth your time. Cash flow is the grease in the gears of a business. Run out of it and the whole machine seizes up – perhaps never to run again. Obviously, letting your business run out of cash is to be strictly avoided. Less obvious is exactly how. The key is cash flow forecasting. You predict the flow of cash in and out for your business in an effort to spot – as far in advance as possible – any future cash shortages. This allows you to take evasive action early so the calamity of insolvency is avoided. How is cash flow forecasting done? List all the inflows and outflows of cash in your business and determine when these will occur. Record the amount of expected receipts and payments month by month. If you are paid after the sale, look at historical trends to predict how much you might expect to receive 30, 60 and 90 days after a sale. If you buy on credit, indicate the outflow when the payment on the credit is made. Be sure to include tax receipts and payments. Accurate accounting of inventory, both work in process and finished goods, is also critical because it can be one of the biggest consumers of cash in a business. So your forecast illuminates a potential cash crunch? Now what? There are several actions you might take. Deferring expenses by paying on credit, factoring receivables so you can get a portion of the cash from a sale when you extend payment terms and borrowing against inventory can be used to get past a temporary cash shortfall. By using the powerful tool of cash flow forecasting, you will spot your business’ cash needs and be able to prepare for them. For a more in-depth treatment of this topic, see Cash Flow Forecasting by David Hardstaff of Sage, United Kingdom. Although the article refers to British Pounds and the Value Added Tax, it is an excellent primer on cash flow forecasting. To tune up your business’ ability to foresee any cash flow problems, call Zev at PCWare for a no charge consultation. Zev Sez: The earlier you spot a possible cash crunch, the better your chances of avoiding it. Can Self Serve Provide Better Service? When we think of good service, we traditionally think of the personal attention of a seasoned waiter in a trendy restaurant or the attentiveness of a five star hotel concierge. But in today’s world there are many instances where we receive better service when we serve ourselves. 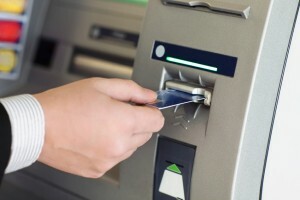 ATMs have nearly eliminated bank lines by automating routine transactions. Self-serve ticketing kiosks and internet check-in have had the same effect at airports. We hardly miss personal service when we can get what we need quickly and easily. Preferred Fragrance recently changed over to a serve-yourself model that resulted in better service to their sales staff and increased efficiency that cleared the way for handling more sales transactions per day. Preferred Fragrance imports and wholesales it own line of perfumes. To place accurate orders, sales representatives needed to know inventory levels and delivery dates to specify right quantities and correctly inform customers when they will receive the products ordered. This had sales reps calling to check stock inventories on nearly every order. The method consumed office staff time in looking up the necessary information; meanwhile the reps were left waiting unproductively on the phone. Preferred Fragrance called on PC Ware to create a sales portal where reps can go online to look up everything necessary to place an accurate order. They can check stock, customer order history, request samples, and generate unique price lists for each customer. 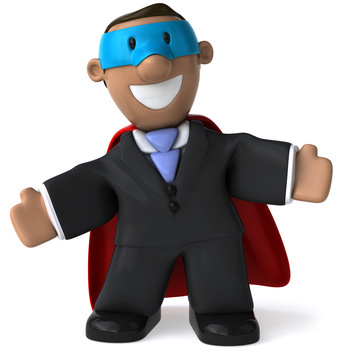 And office staff can now focus on their key tasks rather than fielding calls from sales. The improved system allows for more accurate forecasts of delivery dates by tracking shipping containers, work in process, and production status. Managers can quickly respond to shipping delays because the system can recalculate availability dates for each order inside a container delayed in transport, while securing vendor specific data to keep it from falling into the hands of competitors. Inventory managers are in control with the new system’s ready information on container due dates and today’s expected deliveries. Is your business diverting staff time to answer routine questions? Call Zev for a consultation to discover how efficient your operation could be. Emgee Stone, a granite wholesaler, is inundated with requests on a daily basis from customers looking for a particular size of granite slab, a must have color, or a certain type of granite. Emgee’s success lies in their ability to quickly and accurately match customer granite requirements with items in stock. In effort to support efficiency in customer service, Emgee had a different vendor write custom software to track inventory. To Emgee’s dismay, the software program ended up being full of glitches and was frustratingly slow. In fact, it would take over three minutes, with the customer waiting on the line, to determine if the right granite slab was in stock and then to quote a price. To solve the problem, Emgee turned to PC Ware Business Solutions. PC Ware’s team of experts thoroughly reviewed Emgee’s delivery system and combed through the custom software program to eliminate every bug and fix the speed issues. Inquiries that used to take minutes now take a couple of seconds! No more frustrated Emgee representatives or annoyed customers. “Customers are now delighted with our quick and accurate inventory response,” says Dave, the General Manager at Emcee Stone. PC Ware delivered more than Emgee expected. The PC Ware team’s thorough system review revealed opportunities to save Emgee even more time by enhancing inventory reports. Now Emgee managers can access exact gross margins, figuring in the cost of each unique granite slab, and quickly make price quotes confident of profitability. Moreover, they have the ability to easily analyze overall gross profit margins by customer or by sales representative. 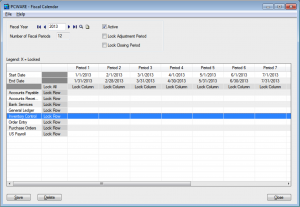 This eliminated the need to run multiple reports, export data, copy and paste into spreadsheets, and make calculations to distribute the reporting. Emgee’s reporting system is now effective and efficient. Managers are able to access reports on demand, giving them the opportunity to stay on top of the business on a real time basis . Sales representatives feel empowered by the ability to view reports tailored just for them, ensuring excellence in customer service. In your business, is finding the right data taking longer than it should? Do you want to be on top of your business operations? Call Zev at 845 371-1975 for a free consultation. 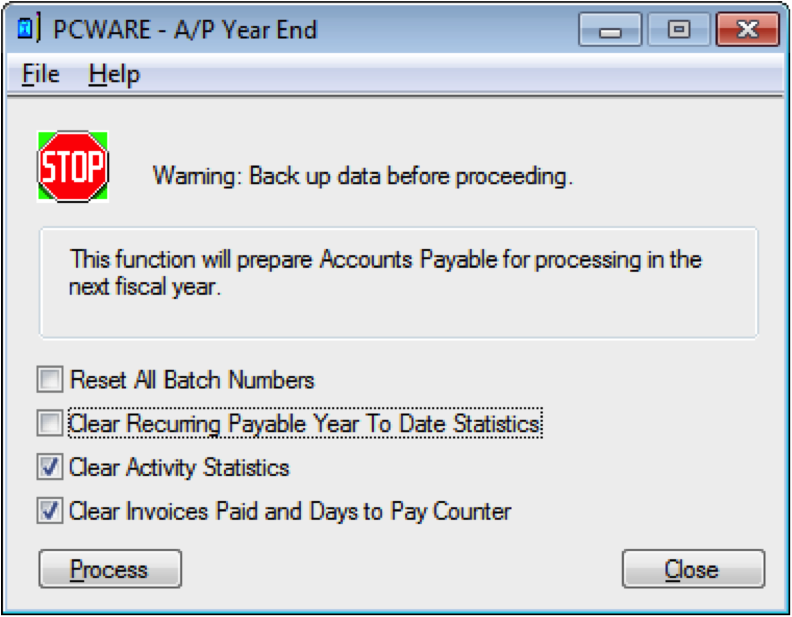 There are many year-end procedures available in Sage 300 ERP (Accpac). Most of them are optional. Best of all, once you have finished your year-end procedures, you can continue to enter transactions to the previous year or enter to the New Year. You can run reports from both years with ease. 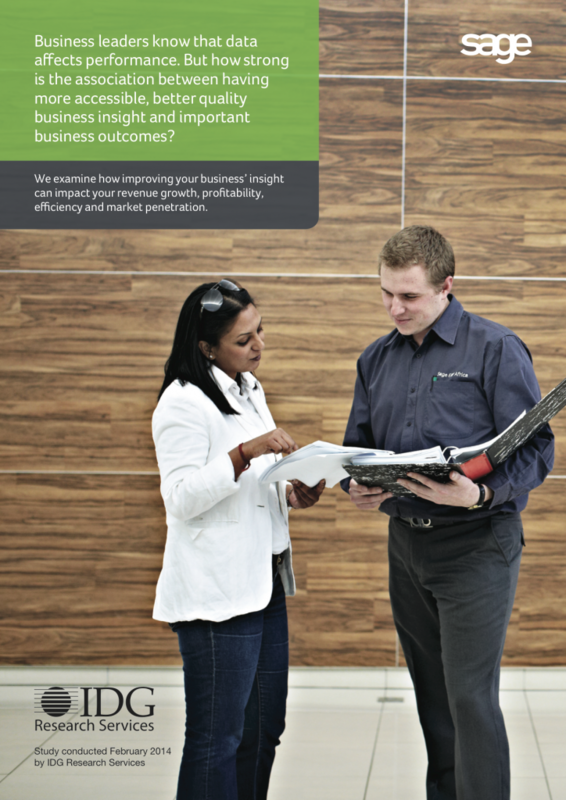 Sage 300 ERP (Accpac) easily keeps it straight for you. 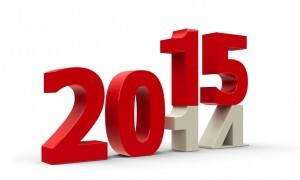 Even payroll processing requires no special year-end preparation. You can print your W-2 and 1099 reports for the prior year at your leisure. This must be done before you can enter transactions in any sub-ledger with dates in the new fiscal year. Double-click on “Common Services” folder/icon then double-click “Fiscal Calendar”. Click the “New” button, then the “Add” button. Save the changes. Verify that you have added fiscal year 2013. 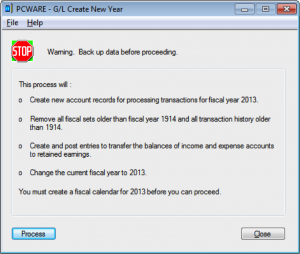 This must be done before you can post general ledger transactions to the New Year. This is easy to do, but you need to take some precautions. Make sure you have a good backup of your data. If you are not sure about the backup status, make a backup copy of your database; Make sure all users have closed out of Accpac before backing up the database. Call for help if needed. Do not skip this step. 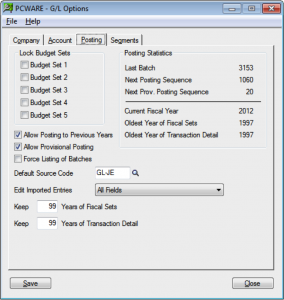 Verify the historical data settings in General Ledger Setup. Double-click on “General Ledger” folder/icon and then double-click on “Setup”, then “Options”. This should bring up the GL Options window. Please note that the “Current Fiscal Year” displayed in the middle-right of the window should reflect the year just ending. Once you have created the New Year, you can revisit this screen to verify that the current year is now the New Year. Most importantly, look carefully at the two fields labeled “Keep” in the lower left and adjust the numbers as necessary. When you create the new fiscal year, data older than this will be erased from your General Ledger database. (This has no effect on transaction history in any sub-ledger). We recommend keeping the maximum number of years of “Fiscal Sets”, since this data is used for financial reporting and is also relatively compact. If you have a lot of general ledger transactions, you may want to limit the number of years of “Transaction Detail” you keep to something less. The number of years of fiscal 7721 and transaction data you can retain varies based from 99 to 7 years on the program “Edition” you are running. Please check your documentation or call us for more information on this. Once you are satisfied with the historical data settings, save and close the window. At this point, it is important to make sure all other Sage 300 ERP (Accpac) users have closed out. Check this on the “Help/Lanpak Users” menu of the Sage 300 ERP (Accpac) desktop. 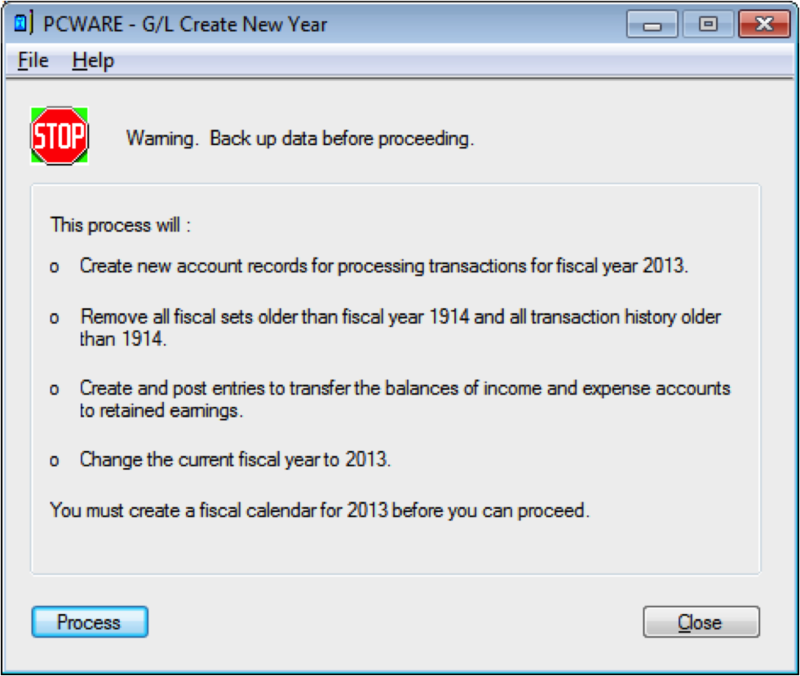 Go back to the top level of “General Ledger” folder/icon then double-click “Periodic Processing”, then “Create New Year”. Please heed the “Back up data” warning. 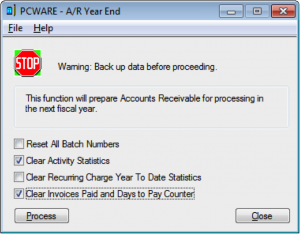 Quit Sage 300 ERP (Accpac) and make a backup if necessary. This is much easier than trying to untangle the mess later if something goes wrong. If you are satisfied with the backup status of your data, go ahead, click the process button and watch the system create closing entries. Depending on the size of your database, this could take some time. When this is finished, a completion message will pop up. Print the message if you like, then close the windows and go about your business. You can print the closing entry posting journal and perform other optional year-end tasks now or later. Depending on the status of sub-ledger transactions and your preferences, you can now enter and post transactions in General Ledger or the sub-ledgers in both the previous and New Year. It is a good idea to lock the fiscal periods for the prior year to prevent accidental posting. Locked periods can be unlocked at any time to enter and post backdated entries when necessary, including year-end adjustments generated by your accounting department or your outside CPA. 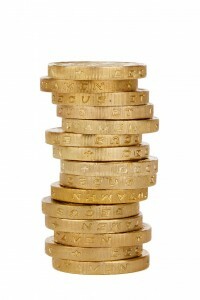 Some of our clients prefer to lock fiscal periods on a monthly or quarterly basis as the year progresses. This is a simple procedure: Double-click on “Common Services”, folder/icon then double-click “Fiscal Calendar”. Type in or scroll to the previous year (say 2011) and press the “Tab” key. The accounting periods for the previous year will appear on the top of the window. 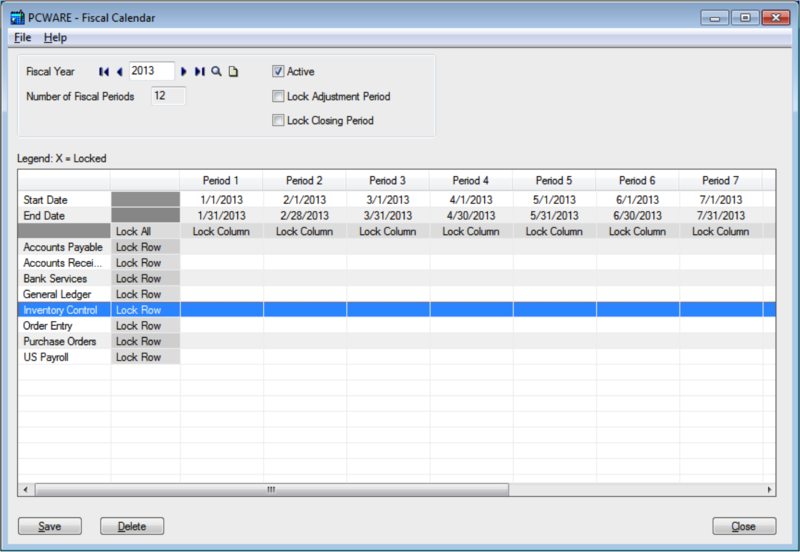 To lock or unlock a period, double-click on the “Lock Column” field to the bottom of the period -end date. You can also highlight the status field and press the “Space” bar to change the value. Save your changes and close the window. This Process updates the Vendor Activity Statistics in the Vendors screen form and related reports. It moves vendor activity statistics for the current year into the previous year, and zeros the totals for the New Year. You should also run the associated process to clear the Invoices Paid and Days to Pay Counter. These records are for information only. This is not an accounting procedure, and the timing need not be exact. 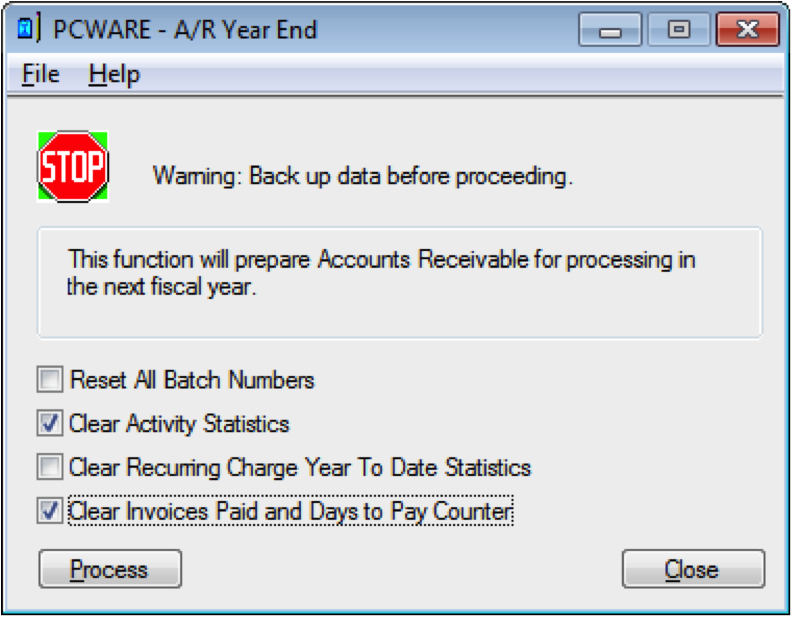 Go to Accounts Payable/Periodic Processing, and then double-click on “Year End”. Please note: we recommend checking only the bottom two check boxes in this window in A/P, 2nd & fourth box in A/R. In this video, we talk you through the steps in how to complete an Accounts Receivable Year End in Sage 300 ERP. 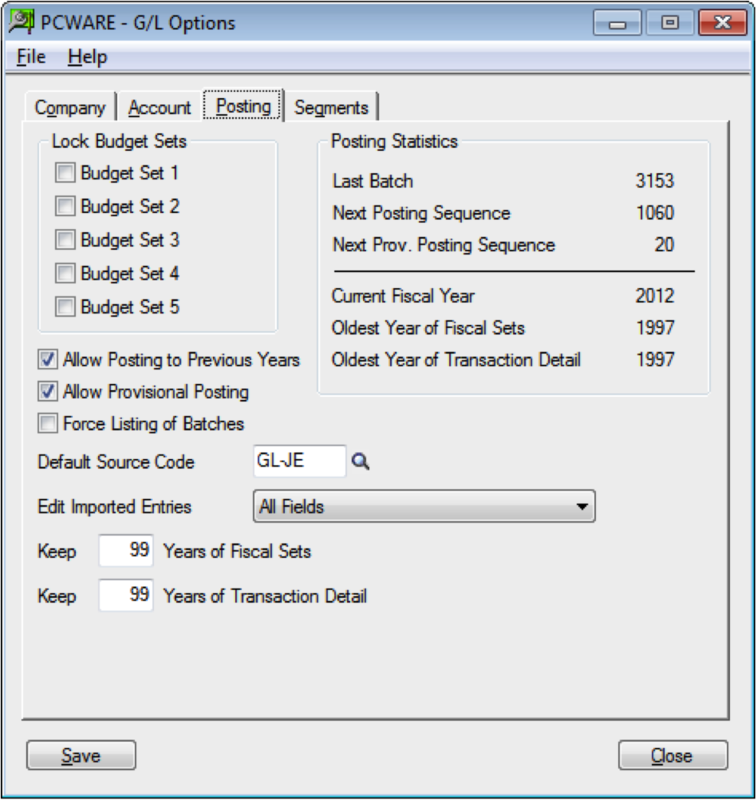 In Part One, we outline the General Ledger Financial Year End Procedures in Sage 300 ERP starting with Step 1 and 2: Create New Calendar and Locking and Unlocking Periods. 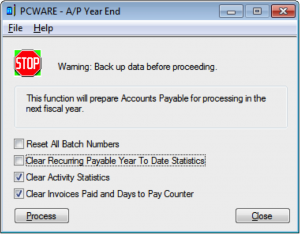 In Part Two, we continue to outline the General Ledger Financial Year End Procedures in Sage 300 ERP with Steps 3 and 4: Post all Current Transaction in GL and Back-up Your Data. In Part three of our series of videos that outline the General Ledger Financial Year End procedures in Sage 300 ERP, we continue on with Steps 5 and 6: Print Trial Balance and Financial Reports and Create New Year and View Transaction History. In our final part of our four part series of General Ledger Financial Year End procedures for Sage 300 ERP, we outline Step 7 that involves printing and clearing reports, posting journals, resetting batch numbers, printing reports and posting to previous years.